Last month,I wrote article on topic of How To Program For VW 3 Gen Immobilizer System and VW 3+ Gen Immobilizer System Programming Guide.And In this article I will go on this topic of How to Program Key for VW 4 th immobilizer Skoda Superb,Sagitar. Here I take Skoda Superb,VW Sagitar(vehicle model equipped with 24C64 chip ) as example. And this method also apply to new Passat(non-multi color dash),new Tiguan. A.Dismantle the dash,and remove the chip 24C64 from dash pcb.And read out the data file from 24C64 chip by BDM,and save the data file at your laptop. B.Enter “NEC 24C64 Mode”,select “Generate special login 24C64 EEPROM” to obtain special login file of current EEPROM.Then write the login file into 24C64 chip,and weld it back on dash pcb,and restore your dashboard. C.Select the function “obtain login data” to obtain the login configuration file,and save it as spare. 2. Then select “NEC+24C64” at drop-down list,load the data file read out by BDM before,and then click”write into EEPROM” to write original data file into EEPROM list. 4. Select “NEC+24C64” at drop-down list,click to read out immo data file,and save it. 6. Select “NEC+24C64” at drop-down list,and click to generate a dealer key,it will generate a new dealer key. 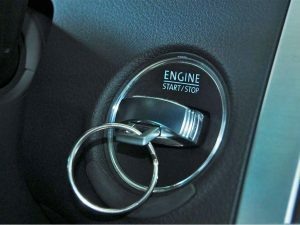 8 Select key add function,add the new dealer key into immo system,and then the key you program just now can start the engine.